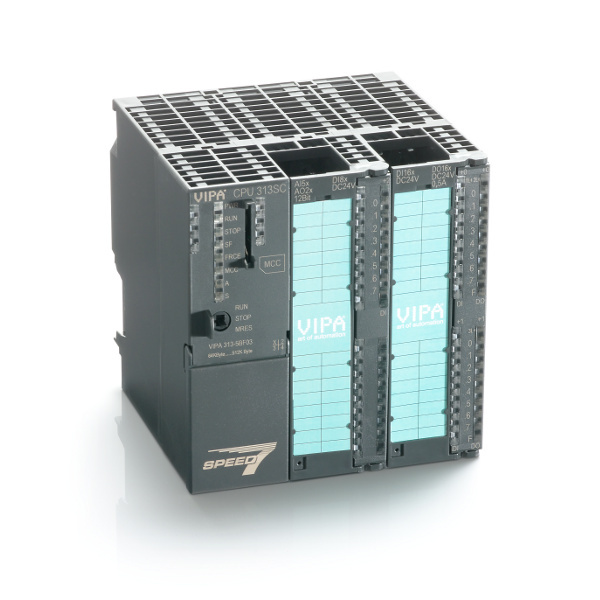 With the VIPA “SPEED7 Technology”, system 300S is the fastest control system in the world programmable with Step®7 from Siemens. The maximum memory for program and data has already been integrated into the SPEED7 CPUs. For this reason the CPUs can be operated without an additional memory card. Depending on the CPU type, the integrated work memory can be expanded to 8MByte with the VIPA Memory extansion card as required. 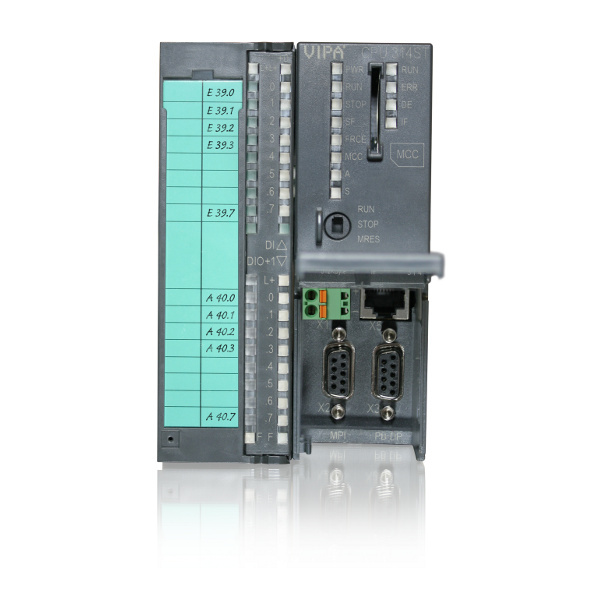 All CPUs in the System 300S are equipped with an Ethernet Interface for PG/OP communication. A CP 343 interface for TCP/IP communication has been integrated in the “NET” CPUs. Because of its high performance and scalable memory, system 300S is especially suitable for mid to high range applications. Integrated work memory – operation possibile without additional memory card! Please find below a list of bookmarks related to the topic of this page. Some of these may lead to external sites.